IRduino is a peripheral device that allows almost any IR signal to be translated into commands. It works on many platforms, including PC, Mac, Raspberry Pi, and even some cell phones. The infrared device can be anything from an old TV remote, to an IR mouse or keyboard. Decades of consumer electronics have relied on infrared remote controls. The result is piles of disused IR remotes collecting dust in closets and storage bins around the world. Our goal is to give you the power to put some of those idle remotes back to work in creative and productive ways. Enter the IRduino. 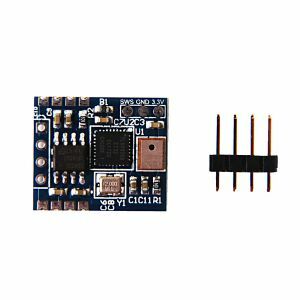 IRduino is made up of an ATmega32u4 Microcontroller (MCU) and an SMD (Surface Mounted Device) IR receiver component. 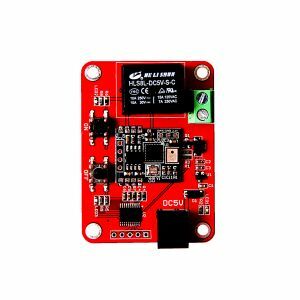 The design is simplified even further by including the USB contacts directly on the board - and unlike many products on the market, the board is thick enough to sit snugly in your USB port. To keep the device humanized (and humorous), a little robot is screen-printed on the reverse side. Just like any good robot, it’s got two programmable LEDs for eyes. IRduino can be both practical and entertaining. It can serve as an interface to your single-board XBMC media center. You can use your remote for complete control of simple games, or to extend your capabilities for complex gaming. The device will let you use any normal remote as a special presentation device. 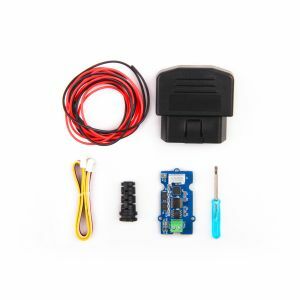 Use IRduino as an easily accessible way to launch your favorite applications. Remotely shut down or reboot a computer with a push of a button. 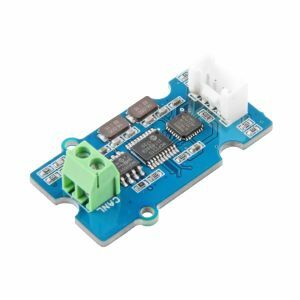 IRduino comes with the Arduino Leonardo bootloader pre-installed on the board, which makes IRduino fully compatible with the Arduino IDE for programming. IRduino is only 19mm x 35mm, which is smaller than most USB flash sticks. We have designed a library that is compatible with about 95% of infrared remotes on the market, from air conditioning remotes, to TV remotes, to DVD remotes, to washing machine remotes.